The painting is called The Scream, but you knew that, everyone knows that because it’s one of the most famous paintings in the world. are along the lines of showing what he’s screaming about. I even have a plastic inflatable of the dude up in the attic. I was wrong but I’m sure I'm not alone. Many people believe it shows a man screaming. Not so, says the museum, which is about to display a black and white print of the image. 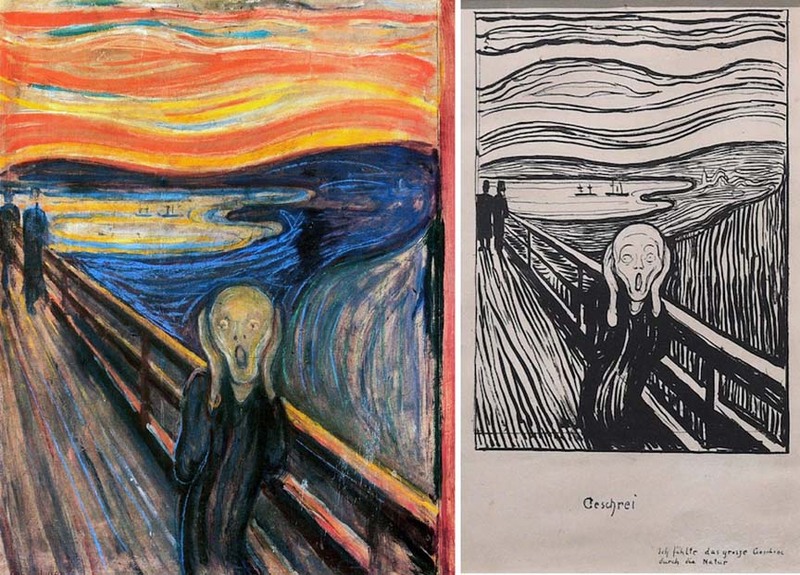 “This rare version of the Scream that we’re displaying at the British Museum makes clear that Munch’s most famous artwork depicts a person hearing a ‘scream’ and not, as many people continue to assume and debate, a person screaming,” said Giulia Bartrum, curator of a forthcoming exhibition devoted to the Norwegian artist. It is a reference to his inspiration for the painting. Munch was walking by a fjord overlooking Oslo in 1892 when the sky turned blood red, a sight that had a profound effect upon him. “Munch very deliberately included the caption on this version to describe how his inspiration came from the anxiety he suddenly felt. “He was trying to capture an emotion or moment in time. Through the inscription we know how he felt. People think this is a screaming person but that’s not what is going on. I learned part of this on Jeopardy recently. In Rochester Mn home of the "Mayo Clinic" the NBC affiliate does not show Jeopardy. Syndication. Not a network show. Comes on two different stations @ the same time around here. Different episodes. Munch made several versions of that painting did he not? Yes several paintings but I don't know if this was the only print version.